This deodorant combo provides 24 hour freshness and has been crafted to enhance their personal grooming and confidence. 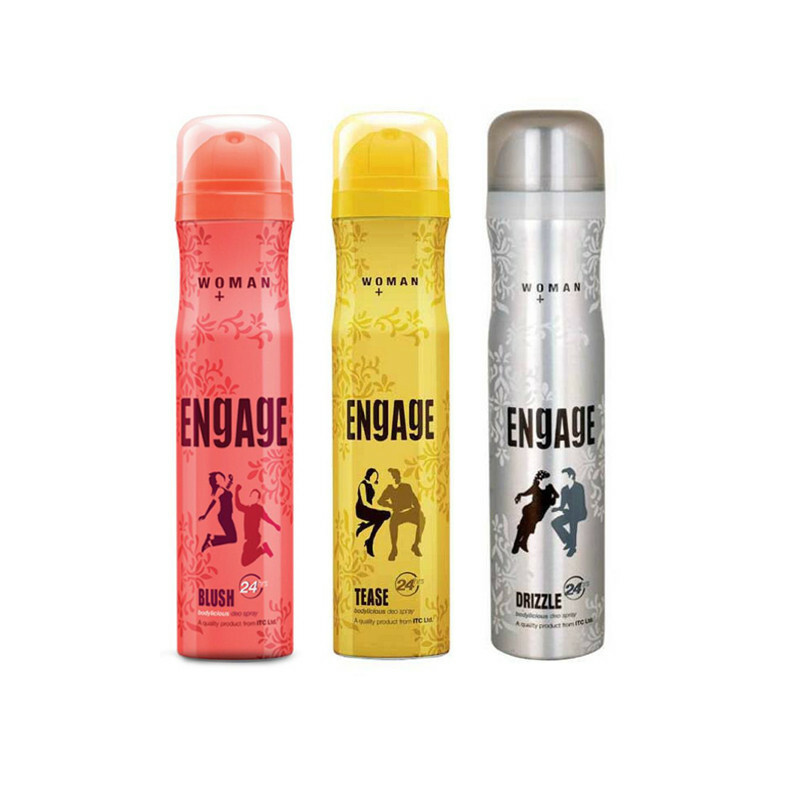 Engage Woman Deo Blush encourages the bold and beautiful ladies to engage in cheerful and lively contact with their partners and enjoy the special moments together. Blush is a very bright and cheerful fragrance that will be loved by all. Engage Teas deodorant is a very attractive one as the fragrance stays with you for a really long time. The aroma does not fade away over soon and stays with you throughout your day.Engage Drizzle is for the women on the go Try all new Irresistible Engage variants The secret to playful chemistry is only a spray away An irresistible quality of a person is their style.